Where do you need Glass & Mirror Companies? Clear Vision Window Films, Inc. Comment: I need broken glass replaced on three windows. Comment: I have a sunroom with screens only. I want windows installed. Some just glass, some windows that open. Comment: New construction, 6 windows for heat/uv protection, one bathroom window for frosting, front door transom and side lights for security film. Comment: Replace 2 basement windows (32" x 14"). Currently metal frame tilt-in. Would like to replace with fiberglass or other tilt-in with screen. Basement is unfinished and has easy access. Foundation walls are block. Sunsational Signs & Window Tinting Co.
Phoenixville Glass & Mirror Companies are rated 4.75 out of 5 based on 550 reviews of 17 pros. 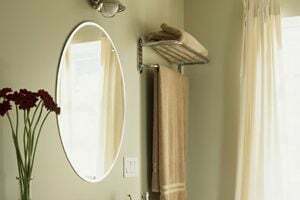 Not Looking for Glass & Mirrors Contractors in Phoenixville, PA?